GK ICKI Sports - professional template theme from the popular sports team of developers from the studio GavicPro. 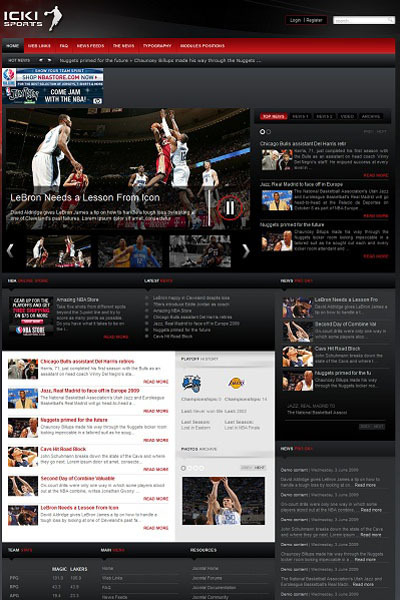 The original design layout worked very efficiently, a dark pattern design combined with several color schemes under ideal site to host sports reviews. Functional framework Gavern pattern gives special flexibility, excellent optimization in general, good commenting code files and fast page loading speed. The main feature of this template is full support for a variety of mobile and tablet devices. GK ICKI Sports ideal solution for creating quality and functional sites.